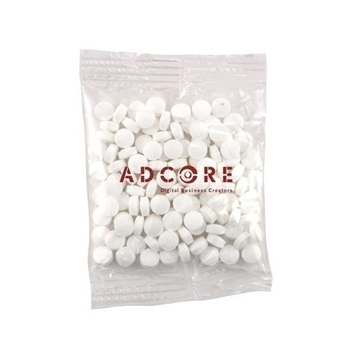 Medium size bountiful bag promo pack with mini mints. Convenient size, easy to pack up, staff really likes them. Serves it purpose. Good size ruler for cost. Great product! The Imprint is ideal! It was quite beautiful when we received our order. Its compact and solid color design is attractive. This highlighted our company's logo, which was printed quite satisfactorily. We are amazed with the great service provided!